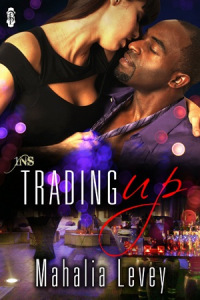 I’m so excited to show a peek at my upcoming 1NS Trading Up Releasing 4/18/13! 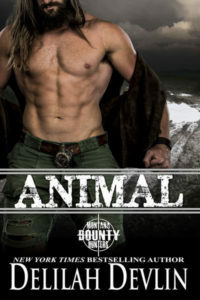 If you haven’t ever read a 1NS series book you are missing out! I don’t even know the exact number of books out from various authors we have at this point. I’d like to say well over a hundred stories as we have a 1NS Paranormal and 1NS GBLT line as well. I never thought I could work off of a detail sheet with to create a story….but here I am on my third 1NS. My previous 1NS stories are Tell Me No Lies a paranormal 1NS and Burn Me if You Can, an IR 1NS. There is just something so mystical about Madame Eve that makes me want to keep creating characters that need her assistance in finding love, and if not finding the love of their live, opening themselves for a chance to find love in the future. I also wanted to do a story with some sensory deprivation, and I’d never done more than a short scene with one sense taken away. I really enjoyed the challenge of taking it to the next level and really having fun. Not to mention taking away the first moment a couple meets in person where they decide prematurely what will and won’t happen with the date. 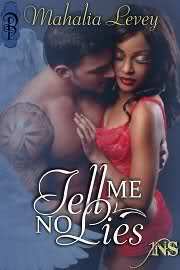 Camilla’s deal breakers make finding a man to fit her wants, needs, and desires darn near impossible. For years she’s been primped and primed to be the perfect political daughter, when all she really wants to do is let loose a little without her world collapsing. When a friend sends her Madam Eve’s way she figures she may just have the chance to explore a bit without being outed. Jonah Black’s career is heading for a change. While his friends have dubbed him married to the military, he can’t deny that his focus has been off centered. While they enjoy the pleasures of life and wives, he has nothing to come home to. When offered the chance for a 1NS, he signs up and is unprepared for the exotic woman picked for him. The flames licking inside her were too much to take, along with his roaming hand. She leaned forward and grasped the chilled wine goblet as a lifeline. When he nudged her lips to take a second taste, she pressed the together, holding her finger up and then laughing because he couldn’t see it in the dark. She took a long cool sip, more from Jonah’s effect on her than the food. She licked her lips then tucked herself against him, momentarily satisfied. “You’re not hungry?” In the dark, his heart pounded against her cheek.“I’m hungry, all right. Ravenous, even.” Jonah caressed her thigh. Cam had no doubt his eyes would scorch her to her very soul. His lazy trail along her skin left her smoldering in need. She let him ply her with another skewer to distract from the throb at the apex of her thighs. She sucked a piece of pineapple he held between his fingers. Juices trickled down her chin. He mopped the stream of liquid with the pad of his thumb and heard him nosily sucked it off. Holy bananas, she wanted a taste of him now. Her mind kept rewinding to the feel of his finger parting her lips. “I uh- need to use the ladies room.” Cam pressed the button on the table for assistance. Cesaire instructed. Seconds later, her guide assisted her out of her chair and slid it back in. She stepped awkwardly away from the table. Along the way, she heard soft sighs and giggles. Definitely some hard-core kissing action. The idea of giving in to the dark side and making out in public heightened her ardor. A loud bang startled her. She jumped, almost losing Cesaire’s grasp. “Don’t worry Ms. Knox. Almost there.” A few more steps and he ushered her into a space where dim lighting burned her dilated pupils for a moment before her eyes adjusted. He sat on a lounge chair between two doors marked Men and Women. The dim glow brought her normal self-conscious thoughts raging forward. In the dark Jonah couldn’t see her physical flaws. Would that change once he saw the real her? Comment and leave an email address I’ll pick a winner for some swag! This bundle of Mahalia’s books is available now for only $5.88! This entry was posted on Thursday, March 21st, 2013 at 10:19 am in About books..., Contests!. Tagged: Guest Blogger. You can feed this entry. Both comments and pings are currently closed. I know I haven’t read any of the 1NS series books. I will have to fix that problem. Mahalia, you are a new author to me, so I will have to get your books since they sound really good. Sounds pretty interesting to me!!! I also really like the covers of the other two…angelshaw54@ yahoo.com…..no space! This books sounds like something I would like. The 1NS books I have read have all been good. I have enjoyed them. I’ll check this one out. How fun, Hales! I’ve really enjoyed the 1NS stories I’ve read–I really like the sounds of your latest! Sounds like the structure provides you the freedom to explore some of the kinds of characters and stories you want! Becky Thanks so much! Hope this begins your journey of 1NS reads! There are some great authors who all write in this fun series! Lisa- hope you enjoy them each time you pick up one to read! Fed- Hey love so good to see you. Am glad you’re still loving my work! They all sound like great books. I love reading series books. Love your books….They are an automatic buy now! thank you Sharon hope you like what you picked! hey Suzanne thanks for the lovely comment! Thank you everyone who commented! Sharon Chalk is the winner for this swag contest! Winner has been notified via email! 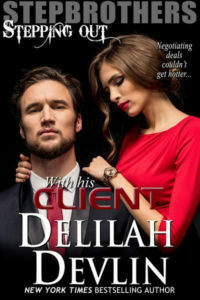 Mahalia – a author that I need to get in my Kindle!! New to your work , but not for long!